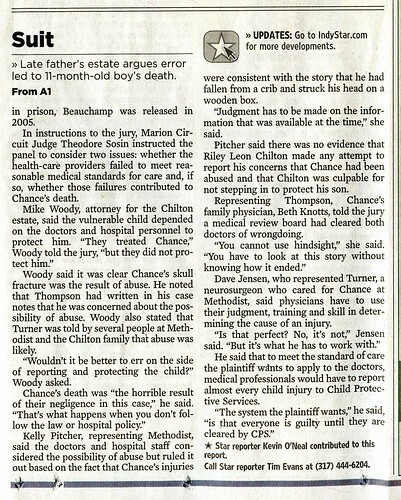 as promised, here are the scans of the erroneous front-page star story from march 8. as a reminder, the jury actually found in favor of the doctors. Thank you for posting these and keeping the issue of erroneous and damaging reporting alive. It is astounding that a reputable newspaper would have made such a dramatically wrong story/headline. As bad as this is, the tragedy is that it is just a symptom of the problem at the Star and in journalism in general. Somehow the official "apology" and correction in Sunday's paper seem so small in comparison. Those docs have a real grievance and I hope they follow up on it big-time.